The latest must-see indie from the Sundance Institute is a snapshot of a young woman dealing with her recent escape from a family-like cult in upstate NY. MMMM (Elizabeth Olsen), a post-college aged beauty, joined the cult two years ago seemingly as a means of filling the void left by the death of her mother. Her experiences are illustrated through flashbacks while she attempts to reassimilate into the outside world that is the lakeside Connecticut home of her older sister Lucy (Sarah Paulson) and British brother-in-law Ted (Hugh Dancy). The brainwashed MMMM no longer understands the extravagances of modern culture such as large homes and monogamous relationships, opinions that would serve as commentaries in a smarter film. But alas, these opinions arise from a cult that’s as cliched as it gets: under the direction of coolly threatening patriarch Patrick (the always enjoyable John Hawkes), the Family engage in sing-alongs, shared matriarchal duties, and free love orgies while spouting nonsense like “We want to help you…”, “That’s the cleansing…”, and “Fear is the most beautiful emotion of all.” It all has a rather “One of us, one of us”-like quality of exploitation that grows increasingly obvious once the cult returns to bring MMMM home (or do they? You won’t get an answer, from me or the film, other than the obvious fact that memories of the cult will always be lurking right over her shoulder). The acting is fantastic (Olsen is a shoe-in for an Oscar nom) and the direction is slick, but ultimately the film is nothing more than the first half of an MSNBC investigation into cult survivors with the present-set narrative replacing talking head interviews. While audiences are complaining about the film’s lack of resolution, it’s really the lack of a character arc that’s to blame for its failings. 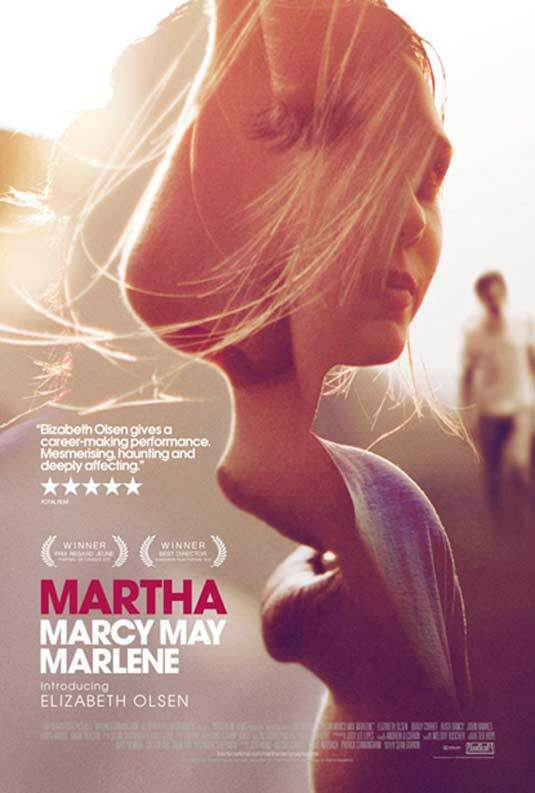 Martha Marcy May Marlene opens today at the Ritz Five.